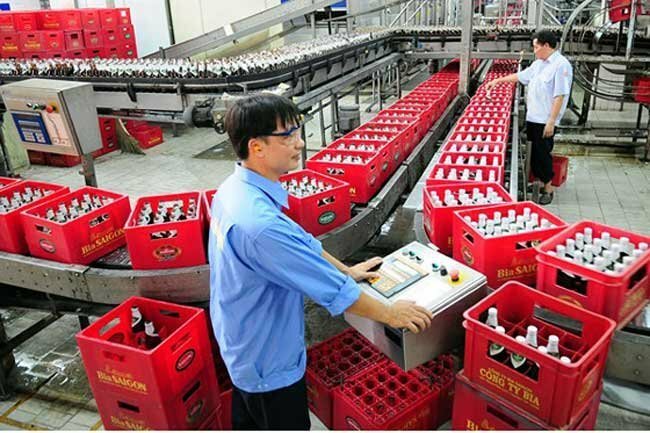 Saigon Beer-Alcohol-Beverage Corporation (Sabeco) has no plan to sell shares to Chinese firms, Sabeco general director Neo Gim Siong Bennett said at the firm’s annual shareholder meeting on April 12. Bennett was cited by the local media as saying that no representatives of Thai Beverage Public Company Limited (ThaiBev) and Singapore's leading beverages group, Fraser & Neave, two current foreign shareholders of Sabeco, are Chinese. Thaibev is satisfied with the ownership ratio at Sabeco, but will consider acquiring more Sabeco shares if other shareholders want to transfer their stake or the State has plans to sell more shares of the firm, he added. As for business plans for this year, Sabeco expects to sell more than 1.9 billion liters of beer, up 5.87% over 2018, and generate nearly VND38.9 trillion (US$1.7 billion) in revenue and VND4.7 trillion in after-tax profit, a year-on-year respective increase of 8.2% and 7.2%. Sabeco’s shareholders also approved a dividend of 35% for this year. Also this year, the firm will continue promoting its products and brand, cementing its leading position in the local market, and it will work out plans to categorize its export markets and enhance marketing and promotion programs in these markets. In late 2017, ThaiBev acquired 53.59% of Sabeco’s shares for some US$4.8 billion. Last year, Sabeco’s net revenues reached VND35.9 trillion, up 5.14% against 2017 and exceeding its estimate by 2.14%.